GIFT VOUCHERS, WHICH CAN BE REDEEMED ANYWHERE AT THE LLAMA PARK, ARE AVAILABLE FOR ANY AMOUNT YOU WISH TO CHOOSE AND CAN BE PURCHASED BY CALLING 01825 712 040 OR PERSONALLY BY COMING TO THE PARK. THEY CANNOT BE PURCHASED ON LINE. 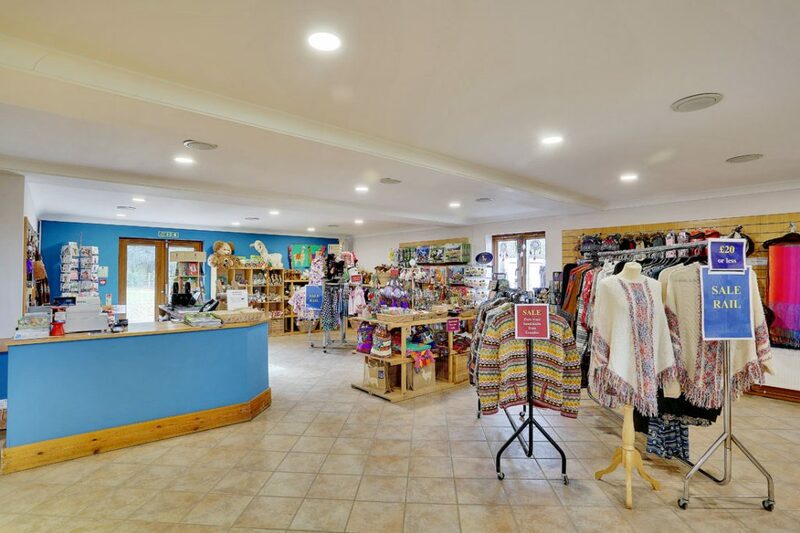 The quality of The Llama Park’s Fashion and Gift Shop is fully appreciated by both local, regular customers and those who delight in coming across it for the first time during their visit to The Llama Park. In addition to The Llama Park’s popular alpaca knitwear, including The Llama Park’s own designer label for clothes made for The Park in Peru, we stock baby alpaca fur hats, rugs, Pima cotton T-shirts from Spirit of the Andes and hand-woven pure cotton designer clothing. 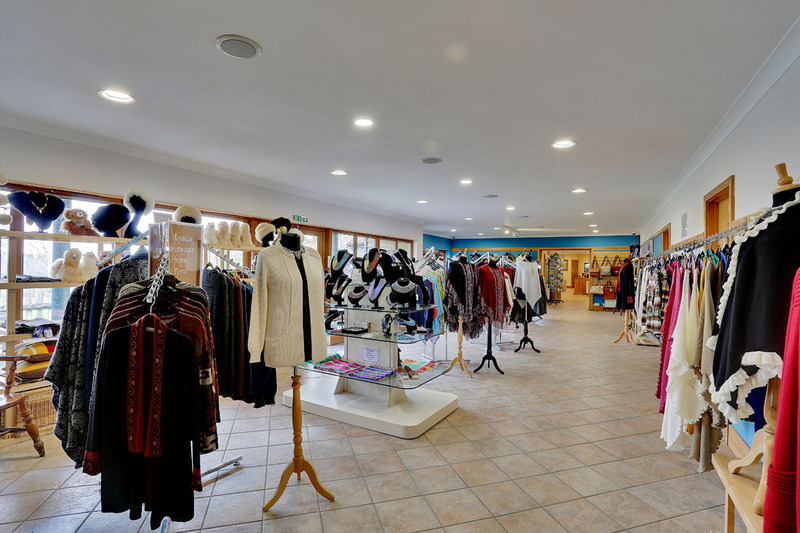 We will also be stocking more designer knitwear from Spirit of the Andes in the near future and hope to stock Spirit’s range exclusively in the area. The shop is now also moving into new areas to delight the discerning shopper with an ‘Aladdin’s cave’ of treasures that would be hard to find elsewhere. See our unique hand-beaded Zulu jewellery from South Africa and costume jewellery from Ireland, our alpaca yarn for knitters, evening bags, slippers, boots and hand-spun scarves – with so many other fashion items and accessories on the way to delight the discerning shopper. South American textiles and crafts; capes, rugs, shoulder bags and back packs, pottery and ceramics, musical instruments including maracas, pan pipes, rain sticks and ocarinas. Locally produced jams, preserves and fudge. You can visit the shop at any time when The Park is open seven days a week (subject to weather conditions) without paying the admission charge to the Park. Come and be delighted by our highly unique retail offering.